When it comes to sounding pissed off, The Haunted has always been the gold standard. Their self-titled album was adrenaline-fueled rage in musical form (as was their last outing Exit Wounds). There aren’t many that can match that level of intensity alongside memorability, but along comes Product of Hate with their debut full-length, Buried in Violence. This is an album that is angry in all the right ways. 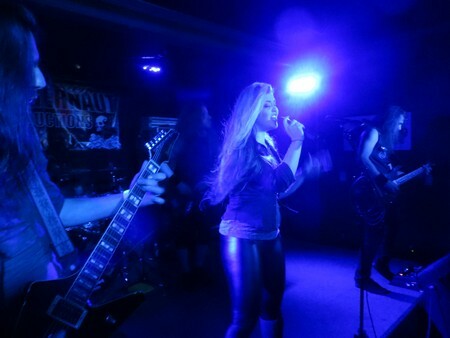 Taking the groove elements of bands like Pantera and Lamb of God and ramping up the intensity to The Haunted-esque levels, Buried in Violence is not about subtlety. Breakneck modern thrash is what you will find from beginning to end, with “Kill. You. Now.” barreling through the starting line at full force. Galloping thrash riffs and suitably pissed lyrics within the song provide more than a proper introduction to the band and their mission statement. “Annihilation” swings into more groove-based territory and shows Product of Hate as fully capable of delivering some standout headbang-able riffs without getting too far into melodic territory (not to mention the real shredding solo at the end). Despite the relentless nature of the material, it’s not without some catchy hooks. “…As Your Kingdom Falls” and “Monster” see vocalist Adam Gilley showing off some cleaner vocals (without coming off as “poppy”), as does the more significantly more melodic closer, a cover of Ozzy’s “Perry Mason.” Gilley shouts, growls, and sings his way through the album with energetic finesse and variety, adding to the brutality and melodic grooves behind him. But the biggest plus goes to the guitar team of Cody and Gene Rathbone. There’s not a track that goes by, including the more temperate instrumental “Vindicare,” that doesn’t give the listener some hook-filled riffs that are sure to stick in your head long after the album ends, all while keeping things decidedly heavy and thrashy. It’s truly hard to choose a favorite in this regard. 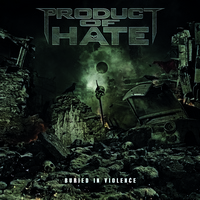 Product of Hate is a promising act that balances aggressive thrash with hooky melodies with the care of a much more veteran act. An album like Buried in Violence is best served with windows down and volume cranked to max. Just don’t complain about your sore neck the next day.